How do we ensure the reliability, scalability, performance and dependability of EMRs and innovate at the same time? We have reached an important plateau now with the digitization of healthcare. We have adopted EMRs in nearly all hospitals, most clinics and doctor’s offices in most countries around the world. There are some debates as to how much this has impacted patient care. But it has no doubt been a giant stepping stone to better information and workflows in the clinical care process. We are clearly standing on that next stone and ready to move forward. But as EMRs really become the bedrock IT system in the operation of a health system, it has introduced a problem: How do we ensure the reliability, scalability, performance and dependability of EMRs and innovate at the same time? The goals of reliability call for less change ideally – infrequent upgrades, long queues for new interfaces, reluctance to touch the platform with experiments, etc. 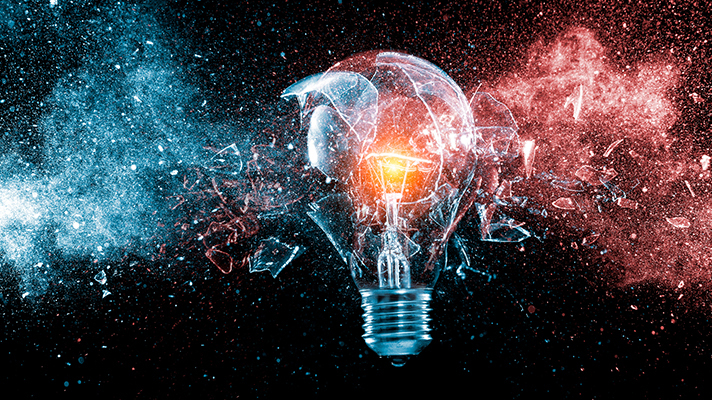 But this can be a barrier to innovation for an organization that is trying to, for example, push new care models, build out a genomics program, build SMART on FHIR mobile apps and connect them to the EMR, enable big data analytics and machine learning, and engage patients in new high-tech ways. These are areas where we don’t have all the answers to yet, so experimentation is needed. But how and where? Gartner has coined the term “bimodal” as an IT strategy across many industries to balance production with innovation. And nowhere is that needed more than in health IT today. As EMRs become more central and more important to today’s success of a health system, we must ensure that they don’t limit tomorrow’s success. The bimodal IT approach allows our health systems to simultaneously meet the needs of reliability and gradual change with the need for disruption, for new care models, and for applying new technology to take patient care and organization performance to that next stepping stone. Many health systems are already adopting a bimodal IT strategy. They have the EMR, which is the production system, optimized for reliability, well-defined processes, uptime and performance — all hugely important responsibilities. And then, separately, they put in place a system for innovation, one that delivers aggregated patient information for FHIR access, analytics access, extensibility for new kinds of data and care models, machine learning capabilities, etc. This innovation platform can supplement the EMR by moving the load and risk of innovation to a capable side platform. And when workflows need to be impacted, the two platforms can have well-defined interoperability points: an integrated viewer, a pipe into the caregiver’s inbox, a view in the patient portal, a notification on a case manager’s mobile device. The danger of not putting in place an innovation platform is we have a risk of drifting into best of breed again – a data warehouse here, an artificial intelligence stack there, a research database over there, a FHIR gateway and app gallery somewhere else. Investing in an innovation platform can empower these innovation teams with clean data, tools and infrastructure and ultimately speed up innovation. To learn more about how organizations are experiencing the power of connecting HL7 FHIR apps to a unified health record, visit http://ow.ly/hl9r30jW0vS.